Patent Trolls have been around nearly as long as patent infringement itself. Bottled Lightning by Seth Fletcher takes a look at one scientific-disagreement-turned-nasty fight over the batteries that power our cordless tools and someday, potentially, our cars. A central battle in the lithium wars began in the early 1990s, a few years after John Goodenough left Oxford to take a post at the University of Texas at Austin. In 1993, a visiting scientist named Shigeto Okada arrived in Goodenough's lab. He was a researcher at Nippon Telegraph and Telephone, otherwise known as NTT. Goodenough put him to work with two other scientists, a graduate student named Akshaya Padhi and a postdoc named Kirakodu Nanjundaswamy, studying a few variations on an iron–based compound Goodenough had worked on previously. "It was supposed to be a perfectly simple scientific study, not necessarily aimed at doing a battery at that point," Goodenough said. At the end of the spring semester, Goodenough and his wife left for a sojourn at their house in New Hampshire, and while they were away Padhi spent his time studying a synthetic version of the mineral triphylite, or lithium iron phosphate. Surprisingly, it showed promise for use as a battery electrode. He had some luck putting it through "reversible" intercalation reactions-the atomic–scale burrowing that happens when lithium ions swim over to the electrode, dig inside, and dock there until the battery is recharged-and this meant that it was stable. The new compound also had the benefit of being made of nothing but cheap, almost free elements, which was exactly the kind of thing they needed to succeed the lithium cobalt oxide that Sony was now selling to the world. There was plenty of work left to do, however, and in the end, the results of their study were anemic. The new compound had a low capacity and was terrible at conducting electrons. Ions, no problem. Ions flew through this compound. Electrons were a different story, however, and a battery terminal in which electrons get bogged down as if in quicksand is useless. Nonetheless, the results were interesting enough that in 1996, Goodenough and Padhi decided to present their results at a meeting of the Electrochemical Society in Los Angeles. Michel Armand wasn't planning to attend the conference, but when he saw the abstract for Goodenough's paper, he knew he had to go to Austin. By then Armand was a visiting professor at the University of Montreal. He was also consulting for the energy company Hydro–Québec, which since 1978 had been doing R&D on a novel battery Armand invented in the early 1970s- a cell that used metallic lithium for the anode and a solid polymer to act as both the separator and the electrolyte. After leaving Bob Huggins's lab at Stanford, he had gone back to France, and while there he had attempted to make iron phosphate into a lithium battery material, suspecting that it would make a good positive electrode for his polymer batteries. For technical reasons, he was never even able to synthesize the material, which is why when Goodenough announced that he and a student had made a batch and managed to get some interesting results, the fact that it appeared to be a relatively limp battery material didn't matter to Armand. It existed, and worked at least a little bit. Armand was obsessed with the possibility of making battery electrodes based on cheap, almost infinitely available iron. "I immediately took the first flight out," he said. Armand arrived in Austin with a small entourage to secure rights to lithium iron phosphate for Hydro–Québec. "He was very reluctant, because he didn't believe in his compound," Armand says of Goodenough. The trip was a success, however, and soon Hydro–Québec had an exclusive license on the technology, which meant that only Hydro–Québec - or a company that Hydro–Québec licensed the rights to - could legally manufacture and sell lithium iron phosphate electrode powder in North America. Within six months, Armand thought he had learned how to make the compound work. He believed that making particles of lithium iron phosphate that were each about the size of a particle of soot could solve the problem of low electronic conductivity. When individual particles "go nano," or get down to the unfathomably tiny scale of less than a hundred nanometers wide, the particles are almost all surface area, and more surface area allows electrons to roam more freely. In the process of making those small particles, however, Armand's group happened upon the second key to making lithium iron phosphate work. They started with a precursor material made of iron, phosphorus, and oxygen. Then they added a lithium compound and fired it. The burning of the lithium–containing compound ended up coating the tiny particles with carbon, and the conductivity shot up. "It solved everything," Armand said. "The phosphate was perfect." As it turned out, Goodenough, his student Padhi, and then Armand had developed something significant, a substance that would go on to be called one of the greatest materials-science advances of the decade. "But," Armand says, "that was also the beginning of what would be - will remain - the biggest scandal in lithium batteries." A few years after Michel Armand's sprint to Austin, MIT professor Yet–Ming Chiang's group began working on "self–assembling" batteries, a far–horizon concept that means exactly what it sounds like. "We were trying to design into [different materials] the necessary attractive and repulsive forces to have a system in which cathode and anode particles assembled themselves," Chiang said. To do so they were studying olivines, the class of compounds that includes lithium iron phosphate, which had properties that made them good candidates for that experiment. Chiang and his team were "doping" various olivines in an attempt to make them better conductors of electrons. Doping-adding tiny, targeted dashes of impurities to a material in order to tweak its electronic structure and therefore change its behavior- is one way materials scientists bend nature to their will. It's how scientists can engineer the interior organization and behavior of electrons and atoms until, for example, what was a wafer of plain silicon becomes the basis for a microchip. When Chiang's student Sung–Yoon Chung applied this technique to lithium iron phosphate, embedding niobium or zirconium atoms in just the right spots in the crystalline lattice, it seemed to cause an astonishing increase in the ability of the material to conduct electricity. It was like turning salt into metal. These were "very surprising results," Chiang said. In October 2002, Chiang's group published a paper that presented doped lithium iron phosphate as the next great hope for hybrid and electric vehicles. The paper argued that they had improved it on the atomic scale in such a way that it could make a battery cathode that could be completely discharged in three minutes, which is the kind of raw power that an electric–car battery needs. It was a breakthrough, Chiang's paper argued, that "may allow development of lithium batteries with the highest power density yet." Goodenough's old collaborator Michael Thackeray, who was by then working at Argonne National Laboratory, wrote an accompanying editorial that emphasized the potential significance of Chiang's experiment. This had "exciting implications" for "a new generation of lithium–ion batteries." Thackeray acknowledged "one slightly controversial aspect" of the research: "that the olivine powders were synthesized from carbon containing precursors . . . Carbon can, of course, contribute significantly to electronic conductivity. Nevertheless, Chiang and colleagues carefully addressed this possibility and ruled it out." His conclusion: "These results will spark much interest in the lithium battery community, who will undoubtedly want to repeat the experiments quickly to verify these very significant increases in electronic conductivity." That was a bit of an understatement. The idea that adding a small number of metal atoms to lithium iron phosphate could transform it into a good electronic conductor generated considerable skepticism in the lithium–ion research community. To many, it just didn't seem possible to transform this material so greatly with such a small tweak to its chemical composition. Michel Armand was incensed when he saw the paper. He believed there was no way Chiang's method could have worked. To Armand, it was clear that Chiang had done essentially the same thing he had some years earlier- that in the process of preparing the material, he had unwittingly coated the particles with carbon. Instead of accepting that a carbon coat had made the material usable, however- which Armand had already demonstrated and presented publicly- Chiang simply clung to the more remarkable and useful explanation. Chiang's paper was "false science," Armand told me, something that should have never gotten past the independent scientists who judge studies before they can be published in a peer–reviewed journal like Nature Materials. "When the paper came out, I wrote to the editor and said, ‘I'm very sorry for you, because you've got a big scientific goof,' " Armand said. Armand began reproducing the experiments in Chiang's paper, and soon he had formulated a rebuttal. Written by Armand and two colleagues, the response was published as a letter to the editor in the 2003 issue of Nature Materials. The retort was delivered in the understated smack–talk of a scientific journal. Armand was accusing Chiang of either misunderstanding or misrepresenting his research. Chiang hadn't doped anything, Armand argued. Instead, some of the lining from jars used in the experiment had been charred into carbon in the process of synthesizing the material, and that carbon had then coated the particles. There was a second fluke at work too, Armand argued. A metallic compound of iron and phosphorus (Fe2P) had also coated the particles, making it easier still for electrons to move around in the material. Together, these two lucky accidents made LiFePO4 into a fierce conductor of electrons. There were stakes beyond scientific esteem. By the time his 2002 paper was published, Yet–Ming Chiang and Bart Riley, Ric Fulop, and David Vieau were already in the process of spinning out Chiang's research on doped lithium iron phosphate into a battery company, A123 Systems. In November 2005, A123 had its coming–out party. The company had been operating in stealth mode for four years, quietly raising money, looking for customers. In that time, A123 had raised more than $30 million in venture capital from pedigreed investors such as Qualcomm, Motorola, and Sequoia Capital, so when A123 started talking about its plans for the future, the press was eager to listen. The Wall Street Journal, the magazine Red Herring, and a regional tech– industry publication all reported on the company that fall. Chiang, who had previous experience with a high–tech start–up, was a natural salesman. 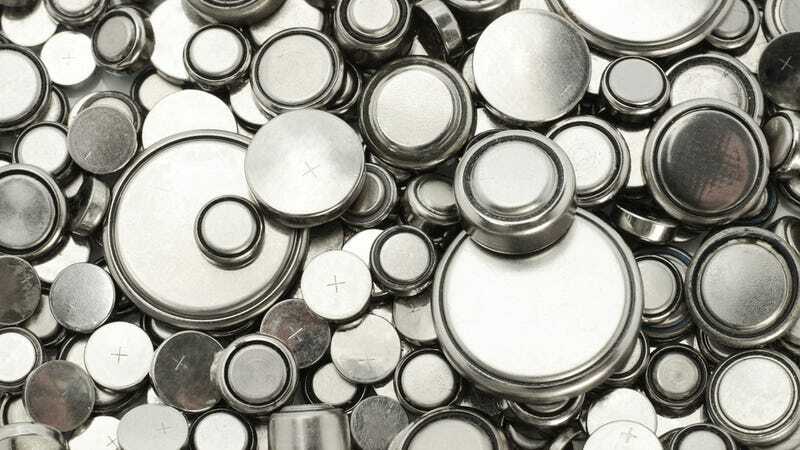 "We think this is equivalent to the impact lithium–ion batteries originally had on the electronics industry in the mid–1990s, where it unseated nickel–metal– hydride batteries as the standard," he told a reporter. A123's 36–volt "nano phosphate" battery packs were scheduled to start selling the following summer, in Black & Decker's DeWALT line of high–end power tools. Due to their ability to dump electricity rapidly, the batteries would soon be powering a series of saws, a hammer drill, and an impact wrench. Hydro–Québec sent A123 a warning in late 2005, a letter accusing them of violating Hydro–Québec's exclusive license on U.S. patents 5,910,382 and 6,514,640, which the University of Texas held on Goodenough's lithium iron phosphate technology. The letter put A123 on notice: if they didn't stop building lithium iron phosphate batteries right away, they could expect a lawsuit. But A123 struck first. On April 7 , 2006, the company filed an action seeking declaratory judgment against Hydro–Québec, arguing that "neither the lithium metal phosphate technology nor any other product made, used, or sold by A123 infringes" on either patent, according to a complaint filed with the U.S. District Court of Massachusetts. On September 8 , they requested a reexamination of the patents, arguing that they overlapped with several Japanese patents that were filed earlier. Three days later, the fight came to a very public head. The University of Texas stepped in and, along with Hydro–Québec, sued everyone involved in manufacturing and marketing A123's debut power–tool batteries: A123, Black & Decker, and China BAK Battery. "Nearly a decade ago," read an Austin American–Statesman article on the legal battle, "the University of Texas licensed two patents that were supposed to help power the next generation of laptop computers, cell phones and other staples of the tech age. Today, the university says, this longer–lived and more powerful lithium–ion battery is finally hitting the mass market . . . The problem, according to the university, is that Black & Decker is essentially bootlegging its technology." The question at the core of the A123 saga is whether Yet–Ming Chiang transformed the chemical that John Goodenough patented into a new and eminently more useful compound, or whether his compound was essentially the same as what had come before. A123's position is simple: Their cathode material has a different chemical formula, and therefore is a new invention that is the work of Yet–Ming Chiang and his colleagues. On the scientific front, Armand's argument didn't depart much over the years from the case he made in the pages of Nature Materials in 2003. After that, Linda Nazar became the chief agitator. Nazar and Chiang became well–known debate partners as Nazar continued to challenge Chiang's research on lithium iron phosphate and Chiang continued to respond. In 2006, Nazar published another paper on the subject. Then in 2008, she published a paper that further clarified the role of Chiang's dopant- in a way that was not at all favorable to Chiang. Naturally, Chiang hit back, publishing another paper in 2009. Nazar and her colleagues issued what she said was their final entry in the saga in 2010, and Chiang published a reply in the same journal. In a phone conversation, Nazar seemed tired of the drama yet unable to let it go. She would say she didn't want to comment on the controversy, and then she would comment anyway. She was adamant that it was a scientific disagreement, not a clash of personalities, and because she has no financial interest in lithium iron phosphate batteries, it's not a business matter. "Scientifically there has been a disagreement on the nature of electronic conductivity enhancement in lithium iron phosphate," she said. "And the science speaks for itself. It shouldn't get down to anything personal between scientists; it's simply based on science. And the scientific community judges for themselves as well." A number of researchers in the field told me they believed the consensus is that Chiang's initial results were not as claimed, but no one was willing to be quoted saying it. Peter Bruce, who, like Nazar, has served as an expert for Hydro–Québec in their litigation against A123, explained the state of the science, which is still unsettled. "The difficulty in answering your question is that it still today remains a controversial issue. As indeed does the issue of what actually is the limiting factor in lithium iron phosphate. Some people believe it's the electronic, and some people believe it's the ionic conductivity. And if it isn't the electronic conductivity, then it doesn't matter so much if you improve it." In short, "There's still a lot that's not understood about this material." Nazar is quick to point out that, scientific discussions about why Chiang's invention works so well aside, it does work well. "Suffice it to say that he has a successful company," she said. "The materials seem to work electrochemically." Chiang, for his part, stands by the original results. He also said that in the years since the 2002 paper, he's discovered that the process of doping yields additional benefits, which he has published. "The behavior of these materials turned out to be richer than we had originally thought," he said. "It left a lot of opportunity for further improvements in the material." While the scientific dispute among Chiang, Nazar, and others played out in the pages of peer–reviewed journals, the patent battles continued. By January 2007, the U.S. Patent and Trademark Office (PTO) had agreed to reexamine both patents, putting the litigation on hold until that process was complete. No injunction had been filed, so A123 was free to keep making batteries. The patent office eventually rejected all the original claims of both patents. In response, the University of Texas then narrowed its claims. Finally, by May 2009, the PTO accepted the amended patents. The lawsuits were then free to move forward. On the case of A123, John Goodenough is both harsh and magnanimous- not angry, but disappointed. The money, well, that he'd just like to use to endow a chair for a fellow professor at the University of Texas. On the science, however, he is blunt. "A123 didn't understand chemistry," he said. Nonetheless, Goodenough gives A123 credit for generating a crush of interest in a material that he at first didn't fully believe in. "They got a good material," Goodenough said. "And A123 did a very good marketing job. They are excellent marketers." Michel Armand is still furious. To Armand, patents "are tearing the community apart." The saga of lithium iron phosphate is a "horror story" of "meanness and greed." "Oh, yeah, of course, he feels very angry," Goodenough said. "Because I must say Michel Armand was the one who recognized that the LiFePO4 was potentially very interesting." In 2004, Armand returned to France, too disillusioned to work. "I was crushed," he said. "Batteries are the only hope for changing the fuels in transport. We know that the fuel cell won't make it for years. So I mean everything is in the hands of the battery people. "It started very idealistically," Armand continued. "People in the 1970s didn't talk about global warming, but the movement in the USA was about resources being depleted and pollution. The feeling of emergency- that I was working for my grandchildren. But now I think my daughter's going to face the problem. I've " own from Europe to California many, many times. When you fly over Greenland, one time out of every five you have a clear sky. And you used to see the glacier coming straight to the sea- and no shore, or maybe a few meters. Now you see a hundred meters, one kilometer of land between the glacier and the shore." It was Donald Sadoway, an MIT electrochemist and a colleague of Yet- Ming Chiang, who had urged me to call Michel Armand. One afternoon Sadoway and I sat and spoke for two hours in his high-ceilinged, lamp-lit office, about his proposed alternatives to lithium-ion batteries, his years in the field, the story of American energy-storage research. As our conversation drew to a close, he nearly jumped out of his seat and said, "You need to talk to Michel Armand! He's just a broken, broken man. The last time he was here, you know what he said? He said, ‘The number- one property of lithium iron phosphate is that it is an excellent catalyst for human greed.' "
Seth Fletcher is a senior editor of Popular Science magazine.